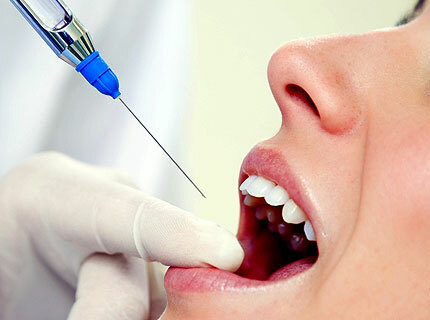 Local anesthetic agents are drugs which upon local application cause reversible loss of sensory perception, especially pain in that restricted area of the body. • Neurolytic agents like alcohol and phenol. • Chemical agents like local anesthetics… these agents used in clinical practice induce a transient and completely reversible state of anesthesia. 4. Rapid onset & sufficient duration of action. 5. Sufficient penetrating properties…can be applied locally. 6. Potency sufficient to provide complete anesthesia. 8. Stable in solution & undergo biotransformation readily. 9. Either be sterile or be capable of being sterilized. The conquest of Peru by Francisco Pizzaro after 1530 brought to the attention of Europeans the properties of a wonderful plant whose leaves were described as stimulating when chewed. The indigenous population of Peru regarded this plant as divine, and, as a reflection of its importance in their economy, they called it khoka, meaning the plant, which resulted in the term coca in Europe. After description of the general and stimulant effects of coca by Europeans, the Austrian Carl von Scherzer imported a sufficient quantity of coca leaves for further analysis. He gave this material to the German chemists Albert Niemann and Wilhelm Lossen. In the years 1859- 1860, Niemann was able to isolate the main alkaloid of the coca plant, which he called cocaine. In Vienna, the pharmacologist Karl Damian Ritter von Schroff was the first to think of cocaine as a narcotic. He described skin insensibility after the application of cocaine, which he attributed to an effect upon the central nervous system. In 1856, Samuel Percy was the first to propose to use the coca leaves as an anesthetic. It took more than 25 years to introduce cocaine in clinical practice. Sigmund Freud was the first to propose the idea of using cocaine clinically for its local anesthetic properties and mentioned this to his colleague and friend Carl Koller. This provided, in 1884, a real stimulus to local anesthesia as Koller clinically demonstrated the analgesic properties of cocaine in the eye. Anrep studied in 1880 the effects of cocaine on respiration. In this study, and numerous studies that followed, he demonstrated the depressant action of cocaine on both circulation and respiration. In 1928 in America, the recognition by the medical community of a growing crisis due to mortality directly attributable to local anesthetics led to the formation of a Council in the American Medical Association. The report of Mayer further raised medical attention to the toxic reactions associated with local anesthetic drugs. The conclusion of this report was that cocaine should not be injected subcutaneously, and cocaine disappeared from clinical practice as an injectable drug. The euphoric affects of cocaine, explained by an excess of the neurotransmitter dopamine in the synaptic cleft of cerebral neurons of the limbic system, were experienced by the first medical users of cocaine who often became addicted. William Halsted, the famous Baltimore surgeon usually credited with the first use of cocaine for nerve blockade, found in his early paper no contraindication to its use. Halsted and his two associates performed numerous experiments on themselves. However, Halsted was treated for the withdrawal symptoms by Welch, his associate at John Hopkins. After the cocaine addiction wastreated, Halsted moved to morphine. He once alluded to his experience with cocaine as follows: “only those who have experienced the distress which follows so promptly the brief period of exhilaration can at all comprehend it”.Sigmund Freud, who used cocaine as a help for psychoanalysis, also suffered from cocaine addiction. cocaine. New substances were then prepared by structural modifications of known local anesthetics such as tropocaine. This research provided in a short period of time eucaine, holocaine, and orthoform. In 1898, A. Eihorn synthesized the first amino amide local anesthetic and named it nirvaquine. As nirvaquine was an irritant in local tissue, the use of the substance was early stopped. Returning to the development of amino ester local anesthetics, Eihorn prepared benzocaine in 1900, and procaine in 1905. Procaine could be used for infiltration, conduction, and spinal anesthesia with relatively few side effects. Currently, procaine is seldom used for peripheral nerve or epidural blocks because of its low potency, slow onset, short duration of action, and limited ability to penetrate tissue. Chlorine substitution on the aromatic ring of procaine gave chloroprocaine, which has a rapid onset and a short duration of action. Its principal application is epidural anesthesia for short procedures; however, its use declined rapidly after 1980 following reports of prolonged sensory and motor block. In 1930, tetracaine was the last ester type local anesthetic developed. Lidocaine, prepared in 1944, is the first amide local anesthetic to be used clinically, by Lofgren in 1948. Lidocaine rapidly became widely employed because of its potency, rapid onset, and effectiveness for infiltration, peripheral nerve block, and both epidural and spinal anesthesia. Since lidocaine appeared, all newer local anesthetics incorporate the amide motif. Mepivacaine is a structural variant of lidocaine on which the amine is part of a piperidine ring . After pharmacological and human volunteer trials, mepivacaine was introduced for clinical use in 1957 Mepivacaine has similar properties when compared with lidocaine, although slightly longer-acting. Prilocaine, also related to lidocaine, was introduced in 1960. It is used for infiltration, peripheral nerve block, and peridural anesthesia. Its anesthetic profile is similar to that of lidocaine, although it produces less vasodilatation than lidocaine and has a lesser potential for systemic toxicity at similar doses. The apparition of bupivacaine in 1963 is a very important step in the evolution of regional anesthesia. It is the first single compound long-acting amino amide drug. The modification of the concentration of the drug achieves dissociation of motor and sensory block (differential blockade). Lower concentrations provide mainly sensory blockade, whereas the effectiveness of the motor blockade increases with the concentration. In 1972, etidocaine was the next long-acting local anesthetic introduced. It is associated with a profound motor blockade and is best used when this attribute is of clinical advantage. In 1972 articaine was introduced, a local anesthetic essentially used in dentistry.